Beer, Beverages, Etc. For Sale on this car. Description Small Pullman Menu from 1934 or 1935 with a nice line drawing of an Attendant making orange juice. While the date code shows it is Form 94 "Special 11" there is no indication give on which railroad or train this saw usage. 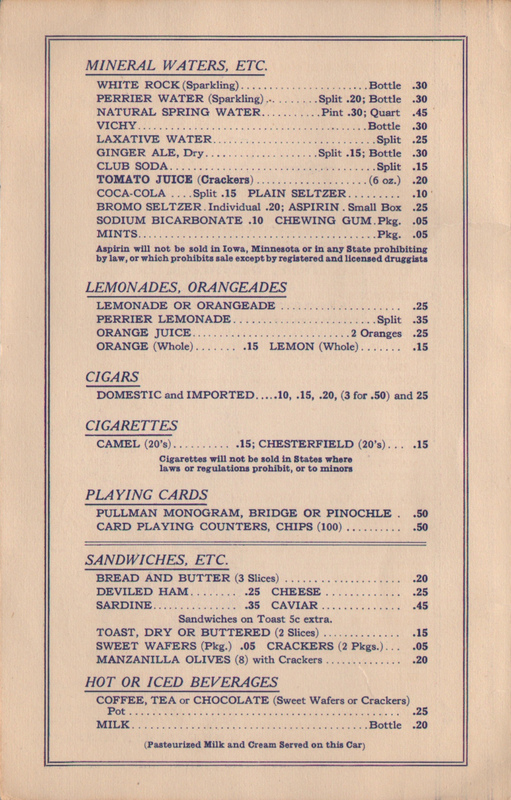 While this menu does not have the usual date code found on Pullman menus, It does offer a few clues to when it was printed. 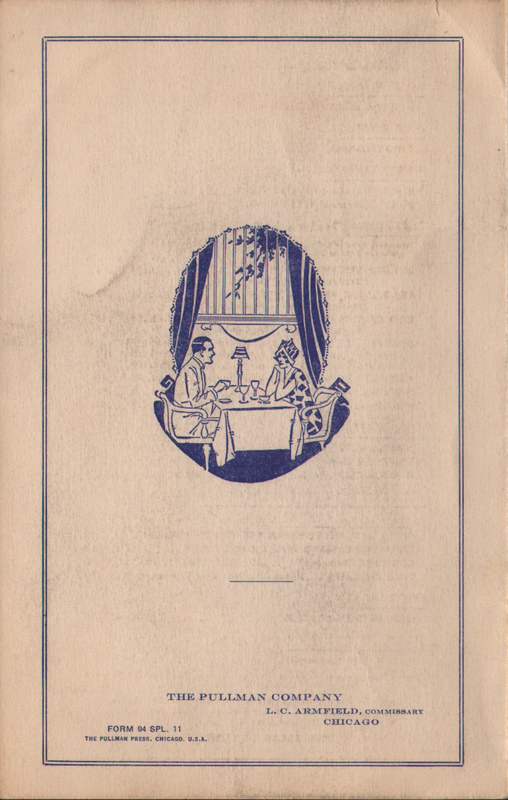 The name of the Pullman Commissary director is printed on the back cover - L. C. Armfield. 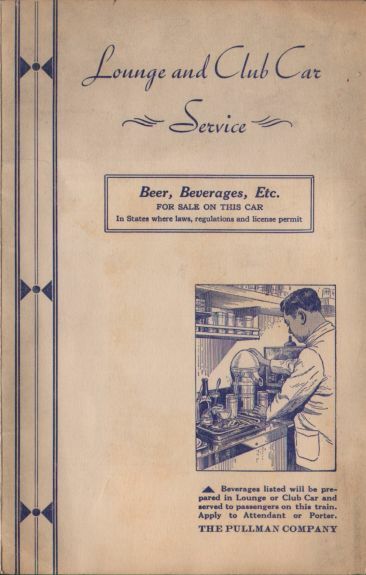 Since he did not become director until 1927, when Prohibition was in full effect in the United States, this is clearly from after the repeal of the 18th Amendment on December 5, 1933. 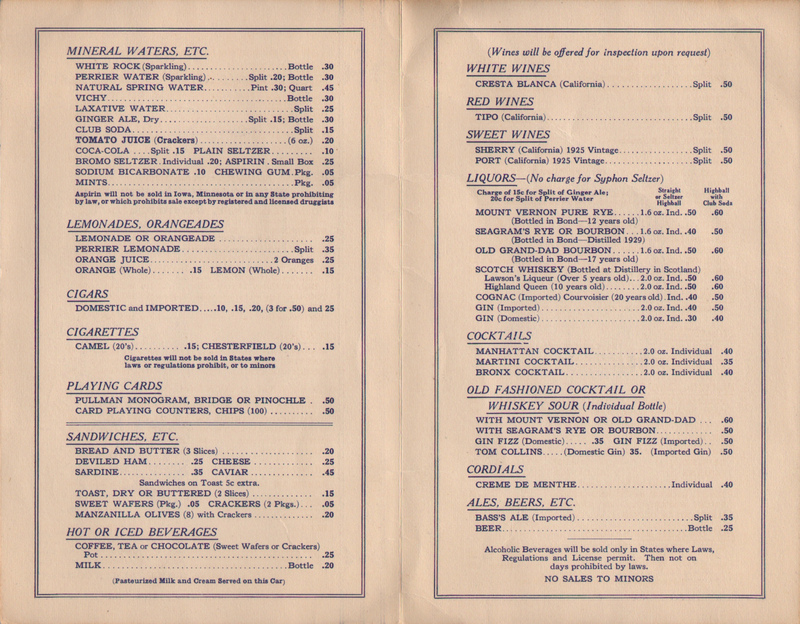 There is also a similar Pullman menu (Form 94 SPL. 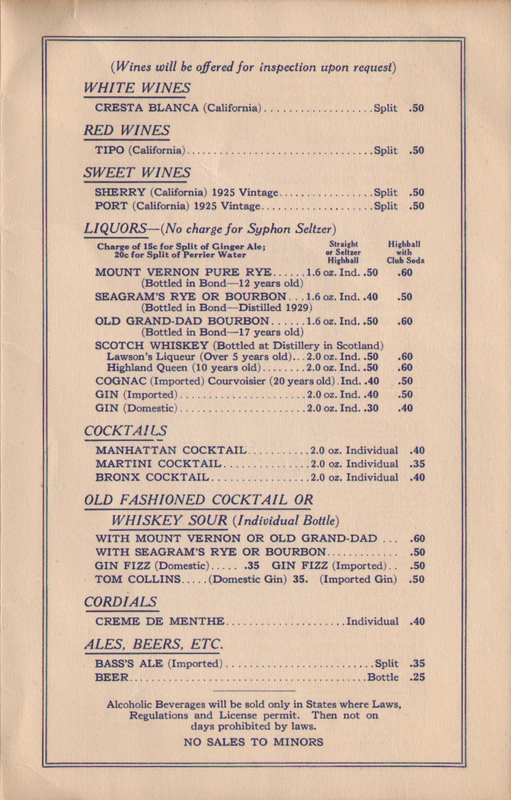 13 P-5) that is dated in 1935 with prices that almost exactly the same.